Wide range of teak wood dinnerware including wooden bowls and plates in many sizes and shapes. Bulk quantity in stock for immediate delivery. Each item is unique and one of a kind. Please expect variation from photos here. We sell here not only the kitchen utensils but also the teak wood shelves that you can see here. Various sizes and models. Very good to use for your store or shop. Strong wood, natural look. 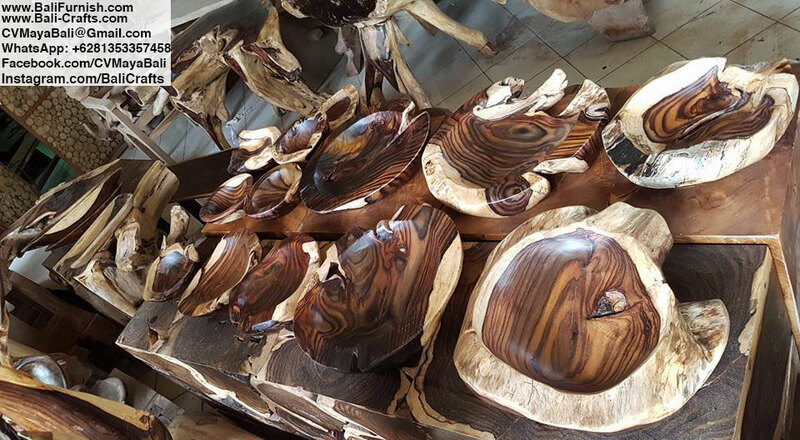 Teak wood kitchenware from Bali Indonesia. 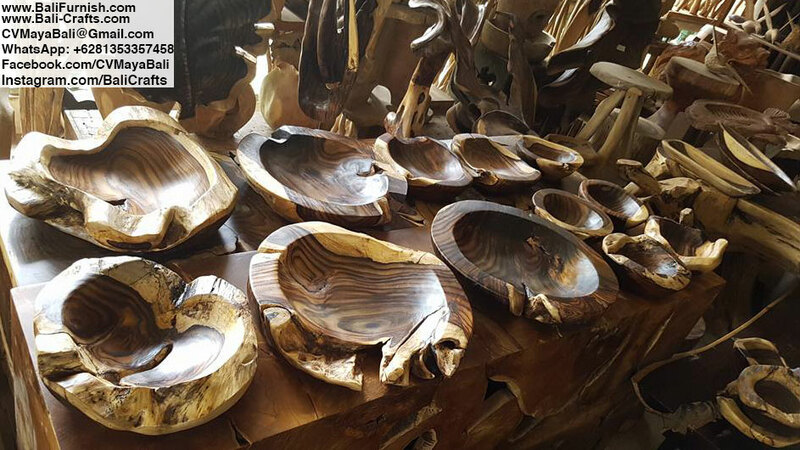 Teak kitchen utensils from Indonesia including chopping boards, plates, trays, bowls etc. All made of very strong teak wood, some even from the root of the teak tree, which is the strongest part of the tree. Various sizes available. We have wide range of homeware from Indonesia. Made of mostly wood combined with other natural material such as sea shells or rattan. There are wide range of products. Please browse our web site and email us if you are interested in buying our products. We are wholesale and only sell our products in bulk quantity. 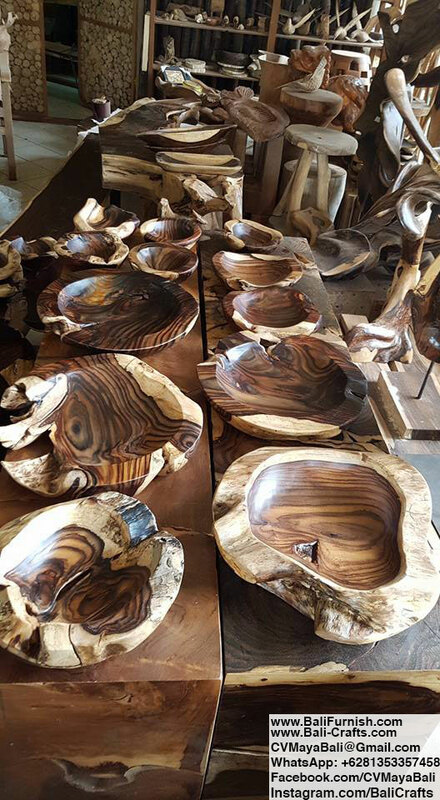 We are able to provide you with factory direct price for various products including teak wood room amenities for hotels, kitchenware for restaurants or homes. Please contact us for more information or visit our facebook page, link is on the bottom of every page. Teak wood chopping boards in various sizes and shapes. Very strong and durable. Must have for every kitchen.